This is an on-line school intended as an introduction for new beekeepers and for people who think that they may want to keep honey bees. It consists of 10 lessons by some of the best (and most experienced) instructors available. The course should be used by taking the lessons in order from Lesson 1 to Lesson 10. Intermediate beekeepers may find individual lessons useful as a review of specific topics. The textbook for the course is written by one of our instructors, Dr. John Skinner, and is titled “Beekeeping in Tennessee”. It may be obtained through the Tennessee Institute of Agriculture. Click here to download it as a PDF. Objectives, goals and programs of the Nashville Area Beekeepers Association. Legal responsibilities and protection for beekeepers. Current beekeeping issues in Tennessee. Types of bees and their role in the colony. Bee social structure and the hive as a “super organism”. Lesson 3 – What Gear & Equipment Do You Need? What personal gear and equipment you need to get started. What hive components you will need? Key decisions about the type of hives you want to use. Where do you get your bees—collecting swarms, a bee “package” or a “nucleus hive”. How to properly install your new bees. Initial care required for newly installed bees. What equipment you need to inspect your bees. What to look for inside the hive. How do you manage your bee colonies on an on-going basis? Basic techniques for managing and caring for your bees. Actions to take when you observe a problem. What is the process bees use to make honey? How do you help bees make honey? What techniques are available for the small/medium/large operation beekeepers? A wide range of pests and diseases that affect bees. What are the key problems and how to detect them early? Dealing with problems using the minimal necessary treatments. The author of our text book, summarizes what is required to be a good beekeeper. What you need to do with your bees during each season of the year. 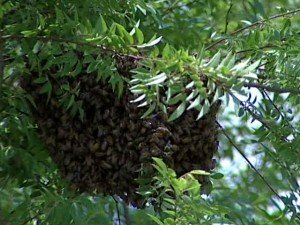 Resources that can help within the Nashville Area Beekeepers Association. Help available at the state level from UT Extension and the Department of Agriculture.